The Bureau of Reclamation is currently in the process of negotiating two contracts with the State of Utah for releases of water from Flaming Gorge Dam. A Draft Environmental Assessment on the Green River Block Exchange Contract is currently up and comments are due by November 2, 2018. They can be submitted to greenriverblock@usbr.gov. These water rights were originally held in Flaming Gorge Reservoir by Reclamation as part of the “Ultimate Phase” of the Central Utah Project. This water was originally intended to supply the Uintah Unit (partially completed) and the Ute Indian Unit (never completed) of the Central Utah Project. In 1992 Congress signed the Central Utah Project Completion Act which deauthorized the Ultimate Phase, compensated the Northern Ute Tribe for construction projects not completed by the United States, and encouraged the tribe to quantify their water rights. Thus far, a Ute Water Compact has not been ratified by all parties. Reclamation held the Ultimate Phase water rights until 1996, when they transferred to the Utah Board of Water Resources who then opened these rights up for development in Utah. Some water has been put to use by private users along the Green and Colorado Rivers, and some has been claimed by public water suppliers but not yet developed. These rights are collectively referred to as the Green River Block. All of the undeveloped rights from the Ultimate Phase have reverted back to the Utah Board of Water Resources and they are planning on using them to supply the Lake Powell Pipeline for consumptive use in Washington and Kane Counties. The Utah Division of Water Rights has granted extensions of time to put the water to beneficial use to all the public water suppliers holding undeveloped Ultimate Phase water rights. According to Reclamation, all of the undeveloped Ultimate Phase water rights were supposed to lapse on October 6th, 2009. The majority of the rights being discussed in the Green River Block should have lapsed on that date; the exceptions are the ones already developed and being put to beneficial use by private users, but Utah changed the law to allow for extensions of time for public water suppliers. The Green River Block water rights total to 72,641 acre-feet of depletion held by private and public water suppliers, mostly along the Green River in Utah. The Lake Powell Pipeline water rights total to 86,249 acre-feet of depletion and are held by the Utah Board of Water Resources. A Draft Environmental Assessment is currently up and comments are due by October 19, 2018. They can be submitted to greenriverblock@usbr.gov. These specific water rights were originally intended for the Northern Ute Tribe. Thus far, they have not received water rights from Utah, and no project to develop the water has been outlined. Utah has over allocated it’s Colorado River Water Rights, and there is not enough water in the system for full development of all approved water rights. 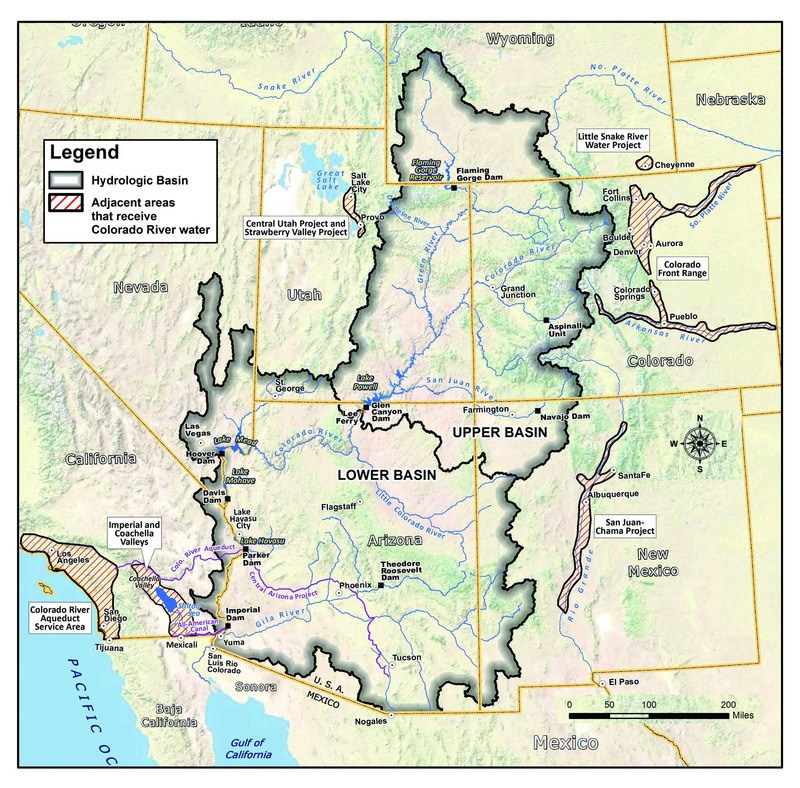 Climate change is expected to decrease the amount of water available for use in the Colorado River Basin, and the Bureau of Reclamation, the Utah Division of Water Rights, and the Utah Division of Water Resources have not accounted for climate change in their modeling. The water stored in Flaming Gorge Dam is going to be essential for the Upper Basin Drought Contingency Plan, which is currently being outlined. The models used to justify these water rights exchanges do not account for the likely use of Flaming Gorge water to keep Lake Powell and Lake Mead at operational levels. Bottomline: we should put these water rights exchanges on hold until the Upper Basin Drought Contingency Plan, the Northern Ute Water Compact, and Bureau of Reclamation modeling standards that include climate change have been developed and agreed upon.